OMG!! 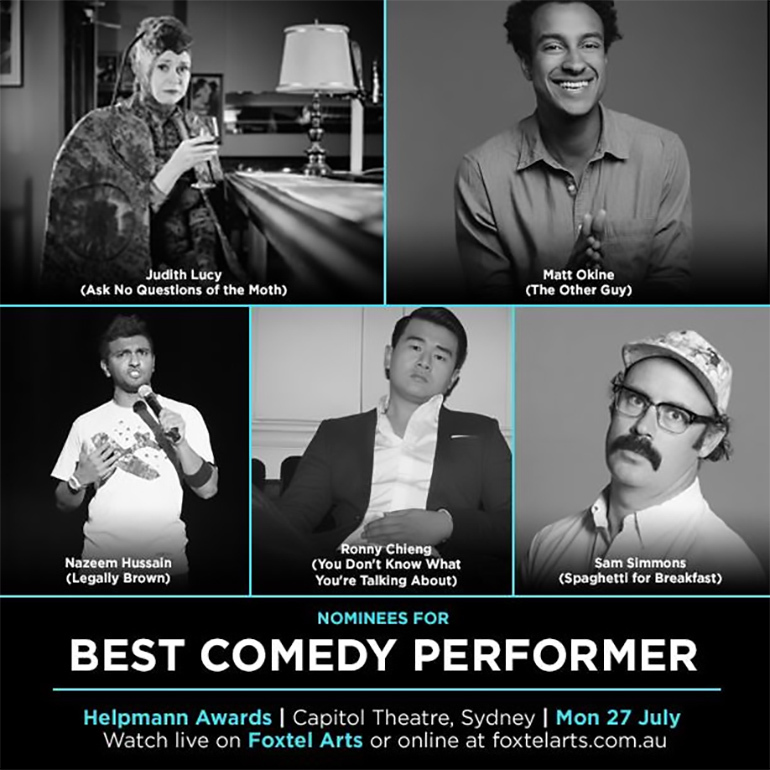 Totes excited to be nominated for a freakin HELPMANN AWARD for my stand up show along with super funny friends Matt Okine, Ronny Chieng, Sam Simmons Official Page and Judith Lucy Woohoo! !